Developed by Citibank exclusively for its customers in Singapore, Citi bot is a chatbot available on Facebook Messenger. The chatbot is designed to make the lives of Citibank customers easier. How will the chatbot fare against our expectations? Let’s take a look. Just like every other chatbot on Facebook Messenger, you will have to click on “get started” to activate the chatbot. The chatbot will introduce itself and tell you what it is capable of doing. CitiBank wanted to ensure that its customers have a great experience when they are using the chatbot on Facebook Messenger. As a result of this train of thought, the user interface of the chatbot is minimalistic and clean. On top of that, Citi Bot gets straight to the point and gives answers to your queries. At the same time, Citibank wanted to make sure there aren’t any hassles or confusion when using the chatbot on Facebook Messenger. Citi Bot does this by providing visual cues for the account you are using on the messaging platform. For example, if you are using the Citi Prestige Card, the chatbot has a specific picture for that card. Even though the chatbot is still in the beta testing phase, it is still functional and useful. Before you start using the chatbot on Facebook Messenger, you need to link your Citibank and Facebook account to Citi Bot. You have to enter the last four digits of your Citibank card on the bank’s secure login page. The bank will send a One-Time Password (OTP) to your mobile number. You also need to answer the security questions for your bank account. For starters, you can use the chatbot to take a look at your bank account balance. After you provide the necessary details, the chatbot will give information regarding your bank account balance on Facebook Messenger. You can also use the chatbot to review all the recent transactions on your Citibank account. If you thought that was everything the chatbot could do, then you are mistaken. Don’t be fooled by its beta tag because the developers have added a lot of features to this chatbot. You can retrieve the summary of your Citibank card bill on Facebook Messenger. You also have the option of accessing the rewards point balance of your account. The developers of the chatbot wanted to make sure that it is capable of answering all common inquiries related to banking. The developers made this possible by adding natural language processing so that the chatbot can understand what its customers are saying. The developers also made the whole experience seamless by allowing the chatbot to open external links in the same window of Facebook Messenger. They are planning on adding additional features such as unlocking and locking credit cards, transaction alerts, and card activation. Overall, Citi Bot is a good banking chatbot for Facebook Messenger. On the chatbot, you can take a look at your account balance, check recent transactions, retrieve the summary of card bill and access Citi rewards point balance. The chatbot will answer all common banking questions as quickly as possible. 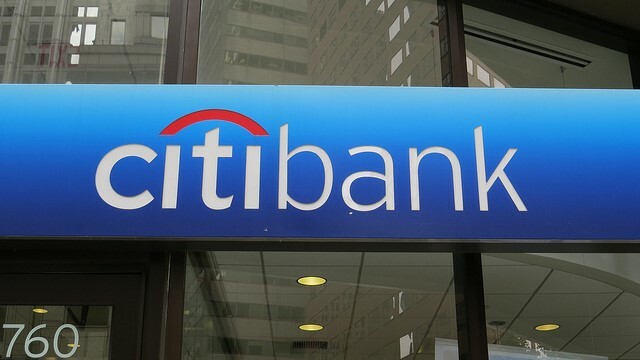 The chatbot does make it more convenient to use some of the services of Citibank. As the chatbot is still in beta testing, it isn’t available to everyone. However, if you are a customer of Citibank and you are interested in using this chatbot on Facebook Messenger, you can join the Citi beta community. All you have to do is SMS BETA to 72484. Once you do this, you will receive a confirmation message from the bank. Do give the chatbot a shot on Facebook Messenger by joining the beta community.